Is May a good time to visit? First of all this is a great site, extremely helpful. 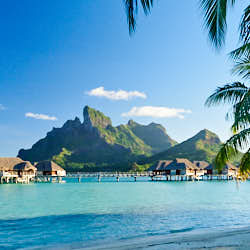 We are currently in the process of planning our honeymoon for bora bora 20th to 28th of May 2013. What has your experience of weather been around that time of year? We are thinking of booking the four seasons as it has received such great reviews on trip advisor. Have you yourself stayed there? May is a beautiful month in Bora Bora! The weather is usually great and the tourist numbers are lower. 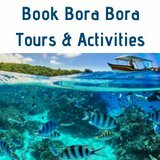 It is one of the best times to go to Bora Bora. 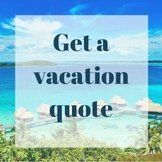 You will have a fabulous honeymoon during this time. From what we hear the Four Seasons is a lovely resort. We have not stayed there yet and they only allow guests on the premises, so we have not had the pleasure of visiting yet. We hear good things about everything except the food. It is a very pretty resort to look at. 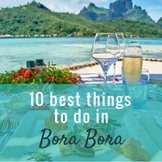 As the newest hotel in Bora Bora it has many good things going for it. Each resort that has been built has learnt from the previous ones. They cater better to kids than any other resort in Bora Bora so tend to have more families staying than you would usually find in Bora Bora. 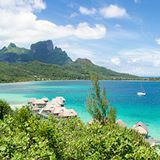 If you are wanting a quieter resort, have a look at the St Regis (which offers lots of privacy) or the Intercontinental Thalasso resort (which has a stunning aspect across the lagoon. They are very 'couple' friendly. Both are absolutely beautiful resorts with wonderful staff and delicious food! They are my personal two favorites. For this 'once in a lifetime vacation', I think you would have an amazing time at any of these resorts at this time of year. The Four Seasons is the most pricey, but most people say it is worth the money. I'm sure they know how to make a honeymoon special! 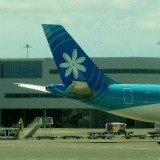 We will be delighted to hear how your vacation in bora Bora goes. 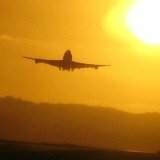 Comments for Is May a good time to visit? 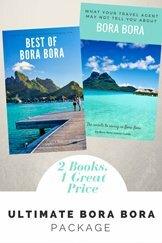 Honeymoons in Bora Bora represent one of the ultimate honeymoon locations. It would be one of the best places where couple can get more enjoyed to their married life. I do consider all the ideas you have presented to your post. They are really convincing and will certainly work. Bora is a chic island. Thank you for the reply. We have booked the four season and will report how it all goes after our trip in may. I'm so excited to visit this beautiful place. I will be using your site for tips before we go. 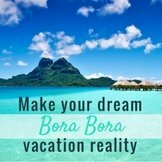 My wife and I are going to Bora Bora in March for our honeymoon and wanting to know what the weather will be like. 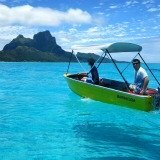 March in Bora Bora is the Summer wet season. 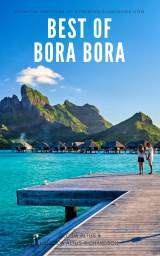 You can read our in-depth description of Summer Bora Bora weather for more information. 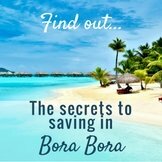 This will also help you know what to pack, to make sure you have the best time in Bora Bora you can. We wish you a happy honeymoon! Is December a bad time to visit Bora Bora because its the rainy season? We are planning a trip in December but then found out it rains 10 - 15 inches during this month. What are the rains like? Are they quick, heavy downpours, or will it rain all day? Any help you can provide us in describing the weather during December would be very helpful. 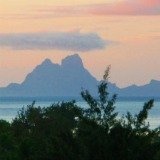 You can find out everything you need to know about the weather in December on our Summer in Bora Bora page. It explains all the tropical summer weather conditions. 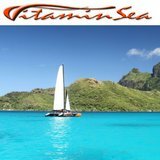 December is summer time in Bora Bora so the weather will be at its hottest and most humid. 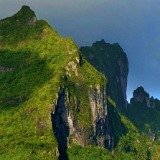 There is more chance of tropical rain showers at this time of year. We often go during December and have found it to be both sunny and beautiful, and wet and stormy at times. It is the tropics so rain showers are common but can be short and sweet. 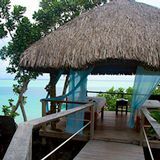 The island is at its most lush during this time, so flowers and tropical fruits are abundant. The lagoon temperature is beautiful and warm to enjoy swimming in during the summer months. 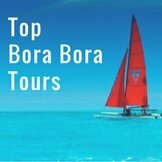 me and my wife are planning for our honeymoon to visit bora bora island in December can any one suggest is it good time to visit. what will be the climate?